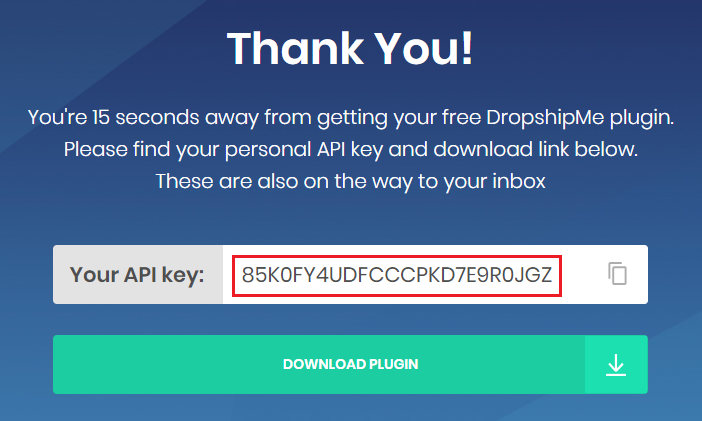 Enter your email here and get FREE the DropshipMe plugin and your personal API key. 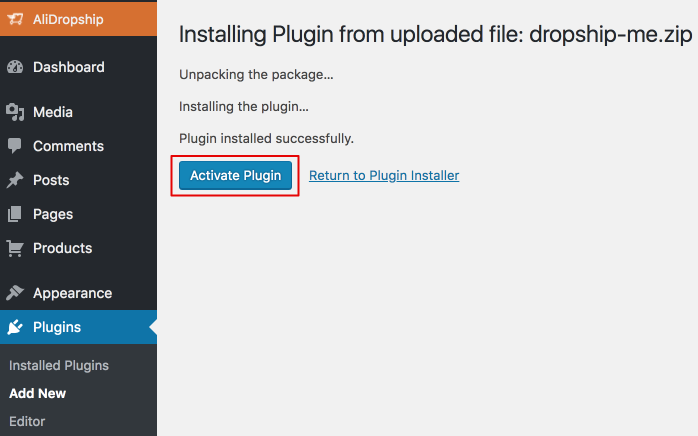 Download the plugin, then install and activate it on your WordPress site. DropshipMe plugin will appear on the left side panel. The plugin can also be installed right from the WP admin area. Go to Plugins - Add new and enter "dropshipme" in the search field. Click Install Now button. Then click Activate. Now you can proceed to Activation section to enter your API key. After the activation you immediately get 50 free product imports. Remember that your API key can be activated only once and only on one domain. If you activate another API key on the same domain, no more free product imports will be given. Please note that it is impossible to transfer your API key from one domain name to another.